The third-generation Honda Odyssey was a wildly popular minivan, so there's good news, for everyone with children, this week from the NHTSA. Honda is recalling 886,815 Odysseys, because your fuel pump may leak, which of course can lead to fiery death. 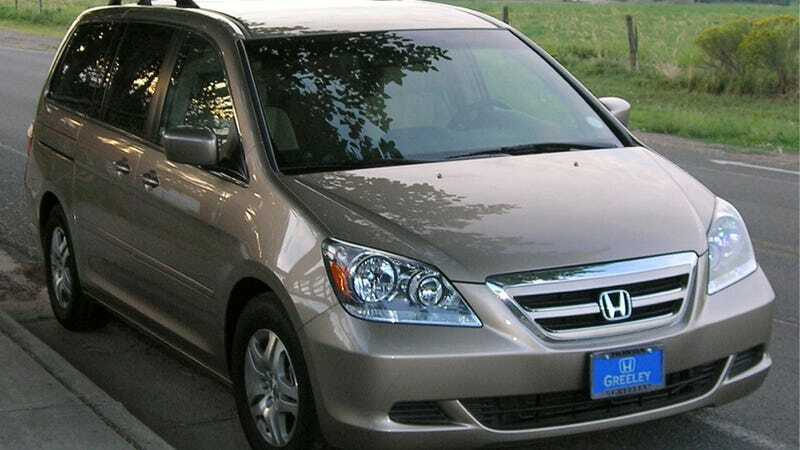 The problem affects minivans made from June 23, 2004, to September 4, 2010, at Honda's Lincoln, Alabama plant. So a lot of Honda vans. It appears the issue is tied to the fuel pump strainer cover, which can deteriorate over time when exposed to high temperatures and an acidic environment, according to the recall notice issued by Honda. If it deteriorates enough, this can cause the fuel pump to leak, which would inevitably spray boiling hot gasoline on you, your spouse, your nine children, your six cats, your twelve dogs, your three grandmothers, and seven grandfathers, at which point you would all be consumed in a hellstorm of nuclear fire. Either that, or, you know, a slow leak in the fuel pump could lead to a small conflagration solely confined to the engine bay, and it would be mostly smoke, really, but you'd have to pull over on the side of the road, and you'd never get to where you were going, and your whole day would be ruined. One of those two scenarios, that I just made up, is likely. Honda doesn't really specify. But don't worry, there's good news! Honda said that they will have replacement parts, just not right now! They'll have them in summer! So you'll basically have to drive around in your fiery suburban (possible) deathtrap (maybe, but probably not really) for the next few months, until a permanent replacement is available. Or, OR, you can get an "interim" replacement put onto your Odyssey next month, while you wait for the real replacement. Again, either one.